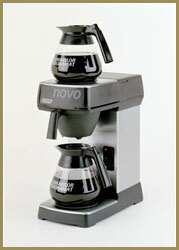 The Novo is a very simple solution for brewing jugs of fresh filter coffee. The Novo does not require plumbing into your water supply and as such can easily be transported around your site. It is ideal for small offices, restaurants, bars or meeting rooms where there is a steady, but not high, demand for fresh filter coffee. 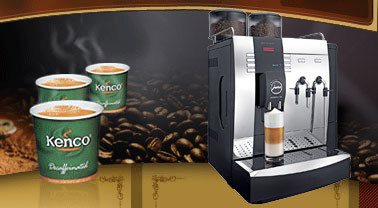 Kenco Local Business Service can supply the Bravilor Novo across London and the Home Counties. This area includes towns such as High Wycombe, Slough, Maidenhead and Reading. 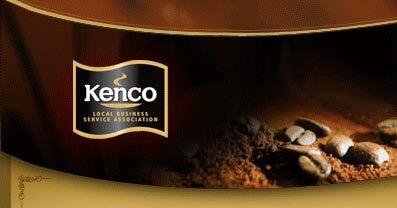 We can also supply a wide range of filter coffee for use in this equipment as well as the filter papers and cleaning and descaling products that you will require. Our team of technicians can provide you with all of the technical back up required in the unlikely event that the machine develops a fault.